BELLVILLE — Winter Storm Harper is on a faster track than expected. 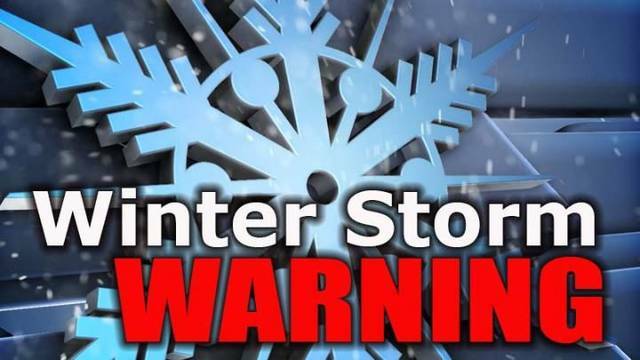 The National Weather Service has issued a Winter Storm Warning effective from midnight Friday through 10 a.m. Sunday. Heavy snow expected, with total snow accumulations of 6 to 9 inches expected the snow will be accompanied at times by winds gusting as high as 40 mph. This warning includes Erie, Huron, Richland, Ashland and Wayne counties. Travel could be very difficult. The cold and wind will combine for wind chills as low as 15 below zero. Those temperatures could result in hypothermia if precautions are not taken.